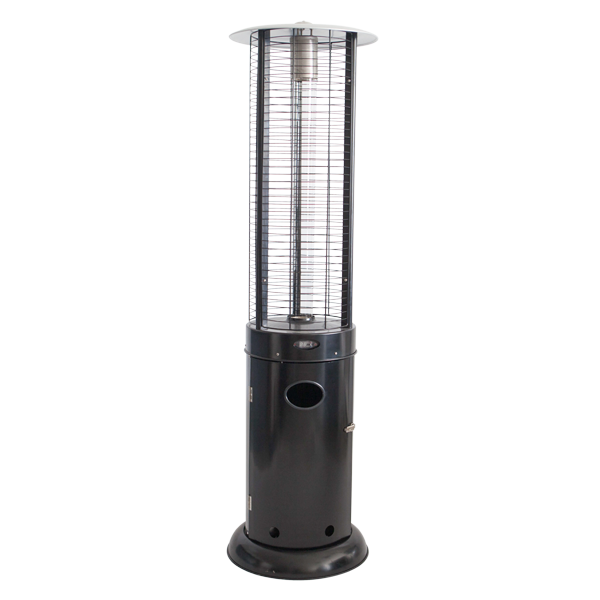 With a modern look and a sturdy round base, our patio heater has a sleek glass tube that holds a flame inside a cage design. Available in white and black, it comes equipped with storage for a 20 lb. propane tank and wheels for easy mobility. Propane tank is included in price. 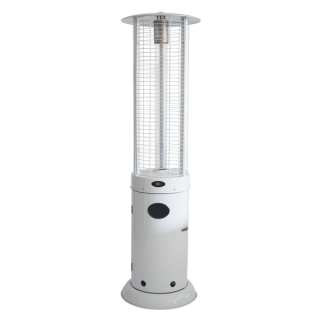 An optional heater remote is also available and is rented separately.